Chase has carefully tailored its positioning so that its various rewards credit cards are best suited to different types of consumers. With that said, all of the cards' rewards come in the form of Chase Ultimate Rewards®, so the points are interchangeable and you could very well benefit from holding a couple of Chase cards that you use strategically to maximize your points. (We'll explain more below). While the Chase Sapphire Preferred® Card resonates with jet-setters who love luxury experiences, Chase Freedom®'s brand aligns with frugal Americans who love to uncover extra cash in their daily activities. Plus, with Chase's current deal, you have the opportunity to earn a $150 bonus after spending $500 on purchases in your first three months from account opening. In addition, new cardholders are offered a 0% intro APR on purchases and balance transfers for 15 months, so Chase Freedom® stands to benefit cardholders who have a large purchase on the horizon or need to consolidate some existing credit card debt as they work to pay it off. 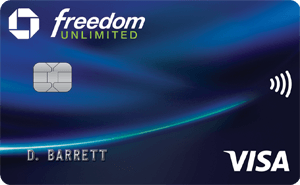 Chase Freedom® is a rotating categories cash-back card. Here's what that means. If you're strategic with your spending, you could stand to earn a substantial amount of cash back – and you can do it with a $0 annual fee. Chase Freedom® is routinely named among CardRatings' picks for best cash-back credit card as it is one of the best cards on the market for cardholders who keep track of rotating categories. Earn a $150 cash-back bonus for spending just $500 within the first three months of account opening. Reap the benefit of a 0 percent intro APR on purchases and balance transfers for 15 months (then, 17.24 - 25.99% Variable). Watch out for the cap on bonus cash back and be sure to set reminders to sign up for bonus categories each quarter. The Chase Freedom® signup deal kicks off your account with $150 bonus after you spend $500 on purchases in your first three months from account opening. Chase Freedom® enables cardholders to sign up for quarterly bonus offers. Those opt-in deals offer 5% cash back on up to $1,500 in combined purchases in bonus categories each quarter you activate. On paper, other cash back cards offer slightly bigger rebates than Chase Freedom®; however, those cards often come with annual fees in the high double digits, and it's no fun to see your rebate evaporate at renewal time. With a $0 annual fee, Chase seems willing to bank on your long term loyalty with Chase Freedom®. If the lack of annual fee and chance to rack up rewards aren't enough, remember that new card members enjoy a 0% intro APR on purchases and balance transfers for 15 months. When you pair Chase Freedom® with Chase Freedom Unlimited®, new cardholders can earn 3% cash back on up to $20,000 spent in the first year, then an unlimited 1.5% cash back on every purchase – it's automatic (as opposed to just 1% with Chase Freedom®). Then, if you also carry the Chase Sapphire Preferred® Card, you can transfer your Chase Ultimate Rewards® points between the cards. Since Chase Sapphire Preferred® Card cardholders receive 25% more value when they redeem points for travel through Ultimate Rewards®, the points you earn with your Chase Freedom® or Chase Freedom Unlimited® cards are worth more. There's great potential to earn points for cash back, travel and more with Chase Freedom®, but you'll only maximize those rewards if you keep up with the quarterly categories and spend accordingly. Remember, too, that you have to sign up each quarter to reap the 5% rewards. If you don't want to give you credit card usage that much thought, a flat-rate or tiered rewards credit card might be a better bet for you. Additionally, Chase Freedom® has a $0 annual fee, but you will pay 3% of each transaction in U.S. dollars that you make while traveling outside the United States. And when it comes to balance transfers, the 0% intro APR on balance transfers for 15 months is a great feature, but you will pay either $5 or 3% of the amount of each transfer, whichever is greater. If you're primarily looking for a card to use for a balance transfer, take a look at our "Best Balance Transfer Cards" for some options that might be a better fit. Earn 5% cash back on up to $1,500 in combined purchases in bonus categories every 3 months you activate. Enjoy new 5% categories every 3 months. Unlimited 1% cash back on all other purchases. These cards are both rotating categories cash-back cards with $0 annual fees. The rotating categories for the two cards differ, so it would make sense to check out each card's offerings before deciding which is right for you. Furthermore, the 0% balance transfer intro period is shorter for Discover it® Cash Back – 14 months as compared to 15 months with Chase Freedom®, but the balance transfer fee with Discover it® Cash Back is $3 or 3% as compared to Chase Freedom®'s either $5 or 3% of the amount of each transfer, whichever is greater. If you don't need a full 15 months to pay off your balance, you could save a little with that lower balance transfer fee. Lastly, if you want to use your card abroad, Discover it® Cash Back doesn't charge a foreign transaction fee. The Bank of America® Cash Rewards credit card is a tiered-rewards credit card, meaning you won't need to keep up with rotating categories in order to earn bonus cash -- so it could be a better option if you aren't willing to strategize with your credit-card spending. Keep in mind, however, this card has a new offer: Maximize your cash back in the category of your choice: gas, online shopping, dining, travel, drug stores, or home improvement/furnishing. Now earn 3% cash back in your choice category and 2% at grocery stores and wholesale clubs (up to $2,500 in combined choice category/grocery store/wholesale club quarterly purchases), and unlimited 1% on all other purchases. You can update your choice category for future purchases once each calendar month using the mobile banking app or online banking, or do nothing and it stays the same. Both Chase Freedom® and Bank of America® Cash Rewards credit card are $0-annual-fee cards and have 0% intro APR offers, though you'll only have 12 billing cycles of 0% interest with Bank of America® Cash Rewards credit card on purchases and balance transfers made within the first 60 days of account-opening (then, 16.24% - 26.24% Variable APR on purchases and 16.24% - 26.24% Variable APR on balance transfers), so you'll be better off with Chase Freedom® if you need extra time to pay off your balances. Furthermore, you stand to earn more rewards with Chase Freedom® if you are diligent about the rotating categories. 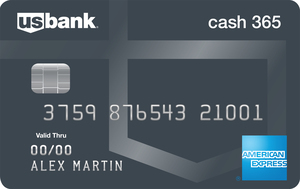 The Blue Cash Everyday® Card from American Express (American Express is a CardRatings advertiser) offers cardholders the opportunity to earn 3% cash back on their purchases at U.S. supermarkets (up to $6,000 in spending annually, then 1%) and 2% back at U.S. gas stations and select U.S. department stores as well as 1% on other purchases. This card is designed for people who don't want to keep track of rotating categories, but do spend disproportionately at supermarkets and gas stations. Chase Freedom® cardholders could certainly stand to earn more rewards by spending in the 5% categories if they're willing to keep up with the rotating categories and actually spend money in the bonus locations. By the way, the 0% intro APR on purchases and balance transfers with Chase Freedom® is equal to that offered by the Blue Cash Everyday® Card from American Express at 15 months. (15.24% - 26.24% Variable after that for the Blue Cash Everyday® Card from American Express. Terms apply. See Rates and Fees). Chase Freedom® is an excellent $0-annual-fee card for you if you're wanting to maximize your rewards and are organized enough with your spending and credit card use to sign up for the quarterly 5% categories. As always, you'll want to pay off your balance each month (after that 15-month intro period) so interest charges don't eat into your rewards. To see the rates and fees for the Blue Cash Everyday® Card from American Express please visit the following link: See Rates and Fees. I love the cash back rewards. I think they are very useful. I love that it is so easy to redeem them. A couple of times, I have used them to pay my monthly payment. Beware. Really. Chase cancels charges at its whim. I found a good ticket for my son, who is studying abroad. Two days later, we get an email from the airlines that the ticket is canceled as the credit card charge was canceled. Chase decided that since we had never before ordered from that vendor that it was suspicious and canceled. This is the third time, twice before being at Walmart, but this time really hurt. We bought a ticket for $250 more due to that. Chase refused to help reimburse anything. I spent over 4 hours on the phone the next few weeks with plenty of reps who in turn always either transferred me to another rep or put me on hold. To top it off, several were actually quite rude. They said that Chase had the right to do this so that Chase doesn't take a chance on losing money and would do it anytime in the future without having to notify me. Amex, MasterCard, Capital One, I have them all and have always been notified both by phone and by email if there is suspicious activity. Chase simply does not want to do what the right thing is to do... eat costs as part of their commitment. Very, very frustrating. My convenient credit card had nothing to do with convenience. I canceled, and they basically said, "sure". TAKE THIS AS A WARNING. You may say that this is trivial, but when it happens to you, it can be very frustrating and there can be consequences. I have been a member since 1998, always paid in full and on time and yesterday they decided to close my account and no one in India or anyone in America will tell me why. They just tell me to read the letter, which sounds good except that I am not home because I came to my parents house for Easter, which Chase does not even care about. Love the cash back rewards. I picked this card up about a year ago. It is very easy to transfer your cash back rewards to pay down your bill. You need to be sure to sign up quarterly for the bonus categories. It only takes a few minutes and you can get quarterly text message remainders.